That's what we've had. It's short and sweet. The weather in Iowa is nothing short of perfect. Here are my 2 girls and my niece playing at Flora Park in Dubuque. After they played and played for literally hours they came home and rested and I was able to do a little shopping. 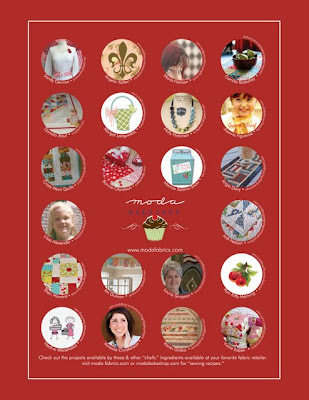 I found the new McCall's Quilting magazine and love it...it has the new Modabakeshop ad! :) I was also tempted to visit the local quilt shop where I was lucky enough to score some new Moda. I about fell on the floor when I realized they had one of each of these available. Mill House Inn?? Woohoo....I feel like I won the lottery. Plus the newest the Collection for a Cause - Alliance. I'm in fabric heaven. gosh I have been smiling so much my face hurts. I also picked up Double Takes 3 which I have been eyeing for awhile. Plus a new Bareroots Halloween stitchery. Halloween is my favorite holiday. All in all it was an awesome weekend. We're heading home. Lanie Jane is having an AWESOME giveaway of Simple Abundance....Check out her blog!! 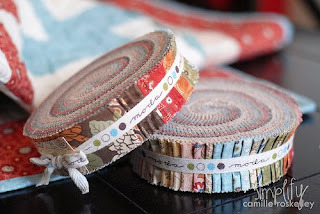 and her website...I have purchased several jelly rolls and yardage from her. She was prompt with emails and shipping. LOVE her selection. Also the most famous CAMILLE is having a giveaway.... More? Simple Abundance? I just ♥ post market time...EVERY fabric is luscious and I drool over all the new stuff coming soon. Head over to Camille and see if you can get your hands on some good stuff. And lastly...Have you heard about All Sewn Up? It's a new website based out of Australia created by the great gals that co-authored Material Obsession and Material Obsession 2. They are doing a giveaway involving at least 85 blogs or websites. I am one of them!!!! Details are coming soon. DO you have it? I do...Quilt Attention Deficit Disorder (not tryin' to offend anyone).... I just keep jumping from project to project....fabric to fabric ...like Anka's Treasure pattern Simple Sixties in Darla. I ♥ Darla fabric.... I did finish buttonhole stitching and piecing Big Birdie...yippee..off to the quilter! There was one block that gave me fits of rage..I had to un-sew it...5 times..no joke. I ♥ it anyway. AND these little blocks were from a swap from Pat Sloan's block exchange a couple of years ago. They were collecting dust in my WIP stack so I "whipped" them together. just need a border...so still on the WIP stack. For those curious gals out there...I have several MBS projects in the works...one at my machine quilter, and 5 others on the WIP pile for various reasons....I think it's my Q.A.D.D. I just can't stick with one of them long enough to finish and post....oh wait there will be an easy one coming soon on MBS (like tomorrow). Check out this giveaway! Yellow Bird Art in Lansing Iowa...giving away 10 prizes! I ♥ all your comments. Here's a compilation of your ideas...in no particular order. *****NOTE ***** Dotti White was chosen as the WINNER!! thanks for ALL your comments! Since Moda has been on the brain these past days/weeks/months...what better way to start the weekend than none other than a giveaway!!!! a Cotton Blossom charm pack!!! 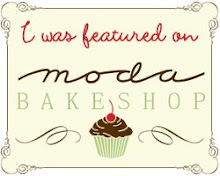 Leave a comment with an idea of a project you'd like to see on Moda Bakeshop.....make sure that IF your profile is not public then leave your blog address, web address or email somewhere in your comment...or I won't be able to contact you as a winner. Since this is a holiday weekend...I'll draw Sunday May 24th. Want another chance? spread the word on your blog then comment back to me...so I can check it out and give you another entry~!!!!! Oh and this followed me home too...Joined at the Hip does it again. I finished another table runner last night. I used Fig and Plum Moda fabric with another Sandy Gervais pattern Point Taken AND I sewed 2 backings for quilts that are going to Jackie in CT. Whew....I sewed something..I can hardly believe it! I've been a bad blogger. I have had so much happening at the home front that my computer time is nill. We have been trying to sell our home for 2 years....yep 2 years, and we already moved to our new one...so 2 mortgages. The market isn't good and it's even worse in a town of 20,000 people. This week I felt a bit low about all of it. We have to put more into it and lower the price. By more I mean take ALL the wallpaper down ( I Lothe removing wallpaper) and no I didn't put it up!! It was there when we bought the home. I never removed it! So now it has to come down. Plus we planted red geraniums to decorate the front, changed all the lighting to brushed nickel fixtures and the list goes on and on. Oh and did I mention my husband was out of town? well he was and I am was left to hold down the fort, work and take care of my children. Boy do I miss him when he's gone! Today we managed to get our garden in, plant several annuals and a few more perennials. I managed to finish this table topper and I used Moda's Objects of Desire charm pack. It's a Sandy Gervais pattern. I think it says Spring! or Summer!....or Fall by the time I get it quilted LOL! I have also been tempted to push some buttons...retail therapy since I couldn't/didn't get to market. Someday I will...someday...until then...I am feelin' these..Swanky and Neptune to use with my new book Stop, Drop and Roll and a Wonderland honey bun to use with a new Thimbleblossom pattern called Pint-Sized. I am hoping to post a few more these next days. But then it's off to South Carolina for Memorial Weekend. I am sooo looking forward to that. A few weeks ago while in Amish country I found a couple of books new to me. Let the Good Times Roll by Heather Mulder Peterson...I LOVE Heather's patterns...she's certainly got talent. Piece of Pie by Pie Plate Patterns. I am really 'in' to layer cake patterns. 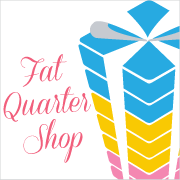 I pushed some buttons last night and I have a new layer cake coming from Fat Quarter Shop! I love that they have all the newest pre-cuts before everyone else....just LOVE.IT. 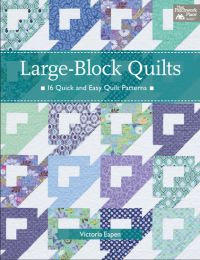 I picked up Small Blocks, Stunning Quilts at Jo-Ann's....I want a small tumbler template now so I can cut 6578 tumblers for a quilt I'm making...no really that's how many pieces there are. p.s. I won't be loading my pics to the left anymore..I'm not suave enough to figure out how to get my text to show up in the correct area...stickin' to the middle from now on! Recently, my wedding ring made a trip to my local jeweler. Originally, my ring was the engagement/diamond part and then the back band was the 'wedding' band. My husband always said that I could have my other half of my ring customized at our 10 year anniversary. This July is 10 years for us. The 'front' band was added and small diamonds on the side. There are purple amethysts in the original engagement band. My husband designed this himself. The amethysts are because my favorite color was purple. It need to be wearable while I work too. Thus far in 10 years I have only torn a couple of latex gloves with it. In addition to having my ring back, when I arrived home and grabbed the mail....I had a BIG surprise....Heather's new book Stop, Drop and Roll. Can I say awesome? I mean awesome...thanks Heather!!!! One of my great purchases at IKEA last weekend was this gorgeous table. I simply love it. I decided to put it at the top of our stairs in an area that had nothing before. A couple of night ago my 2 year was getting to bed and she started to cry. That's normal, she doesn't like to go to bed. But then she said "Dragon". Huh? "Dragon" as she's pointing to her door. I looked and could see nothing. I told her there is no dragon, go to sleep. She sat up, 'Dragon", I layed her down, and this continued for a few minutes. Up and down. Finally, I looked over in the dark and realized she could see my new table in the hall way....I thought "there is no way that is the dragon". But I got up...moved it to the middle of the hallway to see what would happen. Sure enough, she layed her head down and went to sleep. It WAS the dragon....needless to say, I've moved the dragon for 3 nights now...so basically I need to find a different place for the "dragon"
I pushed some buttons again at Hancock's of Paducah. I couldn't resist the pre-cut sale and Sultry by Basic Grey. I bought a layer cake. The fabrics arrived yesterday afternoon. I cut out the blocks late last night and pieced them all today. A bit more assembly is needed but I am really digging these fabrics. I like this pattern for these type of fabric lines with a mix of large florals and smaller prints. I think it showcases the large prints well. 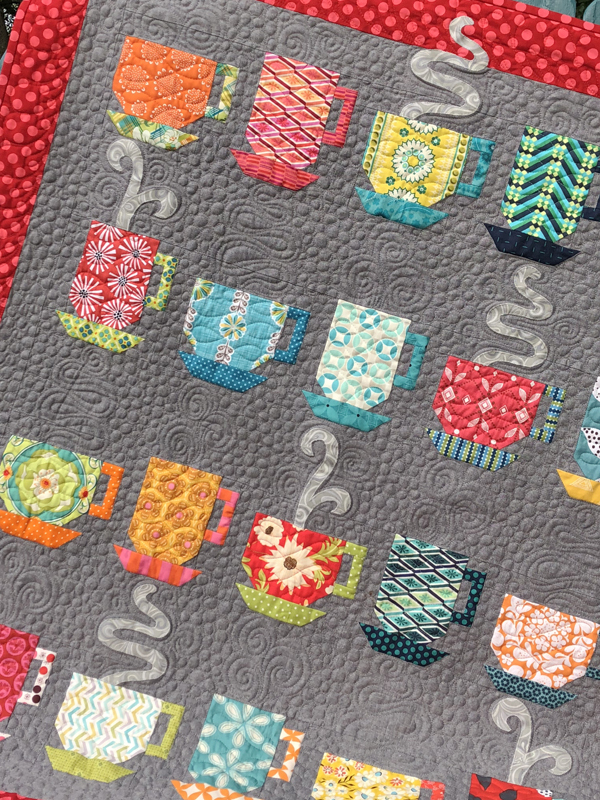 Update *** the pattern is called Lady Fingers by Cozy Quilt Designs. This little blue one is one of the last from the Baby Fats book. It has the most pieces...I kept procrastinating. Now it can be quilted. And look what I found tonight? I little vandal. Here she is digging through my thread and look she's even used one spool as a vase for an IKEA artificial flower. I can barely keep up with her.